High clouds & warmer Today & Tomorrow and nearly as warm with a milder start. Strong to severe storms arrives early in the morning Friday and end around midday west to east. There’s a Slight Risk of Severe Storms area wide. 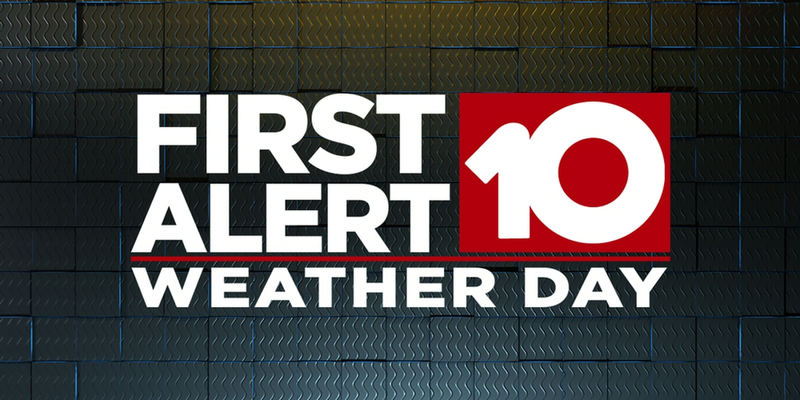 A First Alert Weather Day has been issued for a 15% chance of damaging winds & large hail and a 5% chance of a Tornado. Windy and cooler the rest of the day with a batch of showers. Cooler and drier Saturday, Warming begins Easter Sunday afternoon and takes us into early next week. It should be dry. Most of the area is now under an Enhanced Risk of severe storms.